Office Space - Brinkworth, Wiltshire. A range of 'carbon -neutral' office accommodation within a recently renovated manor house set in 14 acres of stunning gardens. 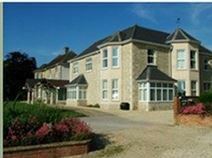 Located close to Swindon and the M4 motorway, with easy access to Bristol, London and the surrounding area. All suites fully equipped with high spec internet and telephony. Flexible agreements available.